Online gambling revenue in New Jersey increased from the first month of operation to the next, but analysts predict the real boom is yet ahead. That spike will likely be the result of wagering via mobile devices. This year, about 20% of online gaming revenue in the Garden State is expected to come from tablets and cellphones. Three years from now, industry watchdogs believe more than 50% of revenue will be derived from mobile wagering sources. That is a huge reason why Atlantic City casino executives have not become disillusioned by the revenue numbers for December and January released by the New Jersey Division of Gaming Enforcement (DGE). Though $7.4 million in revenue in the first full month of operation and $9.5 million last month are a bit below what state officials were hoping for, most casino honchos are of the mind that the best is yet to come. Joe Lupo, senior VP of the Borgata, told the Associated Press that mobile gaming is an integral part of New Jersey’s Internet gambling scheme. He and others who are counting on revenue to increase remain encouraged and see so much upside in months ahead due to the expected proliferation of mobile wagering by online gamblers. 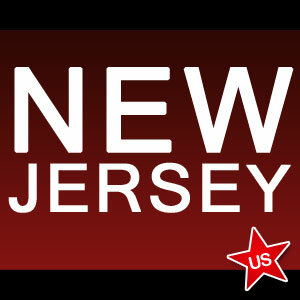 Almost 200,000 online accounts were created at New Jersey gaming sites by last month’s end. Aggressive marketing campaigns are currently being employed by the casinos in an effort to drive up those numbers. Making customers aware that mobile online gaming is offered and available is also part of that strategy. However, New Jersey remains hampered by geolocation issues intended to make sure that mobile device users are located within state borders. Once that problem gets rectified, it’s highly likely that revenue from mobile gambling will rise significantly. DGE spokeswoman Lisa Spengler stated that gaming regulators and geolocation technology providers are working together in order to come up with solutions. These types of glitches were not completely unforeseen before the late November real-money launch, but have likely been a bit more troublesome than expected. Caesars Interactive, holder of two online gambling licenses in New Jersey, launched a mobile app for its popular WSOP brand two months ago. The company reports that 22% of play on WSOP.com is attributed to gamblers with mobile devices. It is clear the future of the majority of gaming experiences will be on these devices, said Caesars VP of corporate communications Seth Palansky. While New Jersey’s online gambling revenue totals for the first two months of operation currently fall short of the earlier projections of $200-$300 million in the first year, Fitch Ratings believes those numbers will still be met when all is said and done. And the growth of gambling on mobile devices is expected to be one of the reasons.